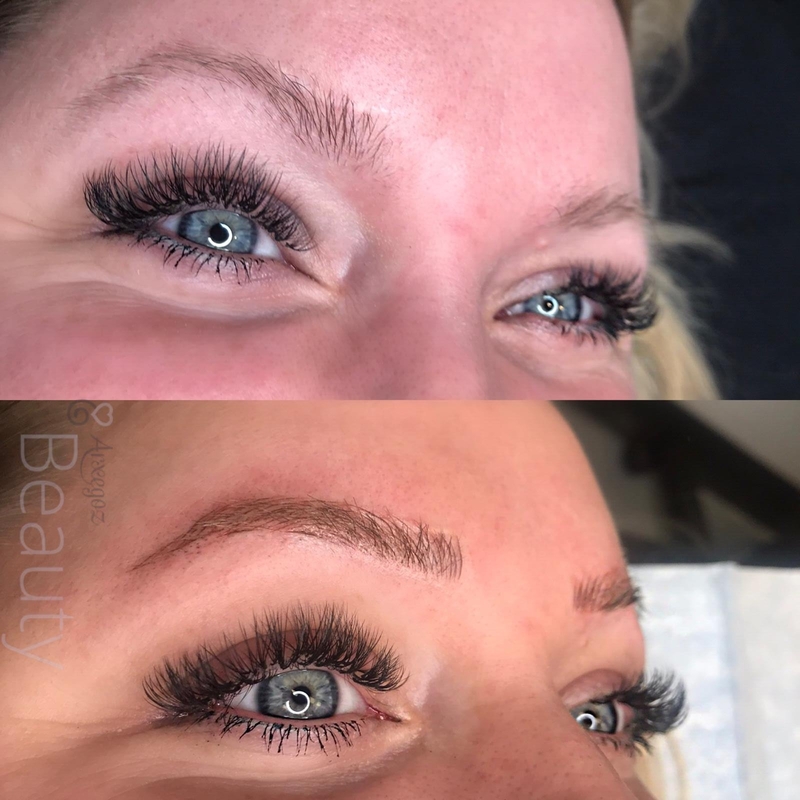 Microblading. 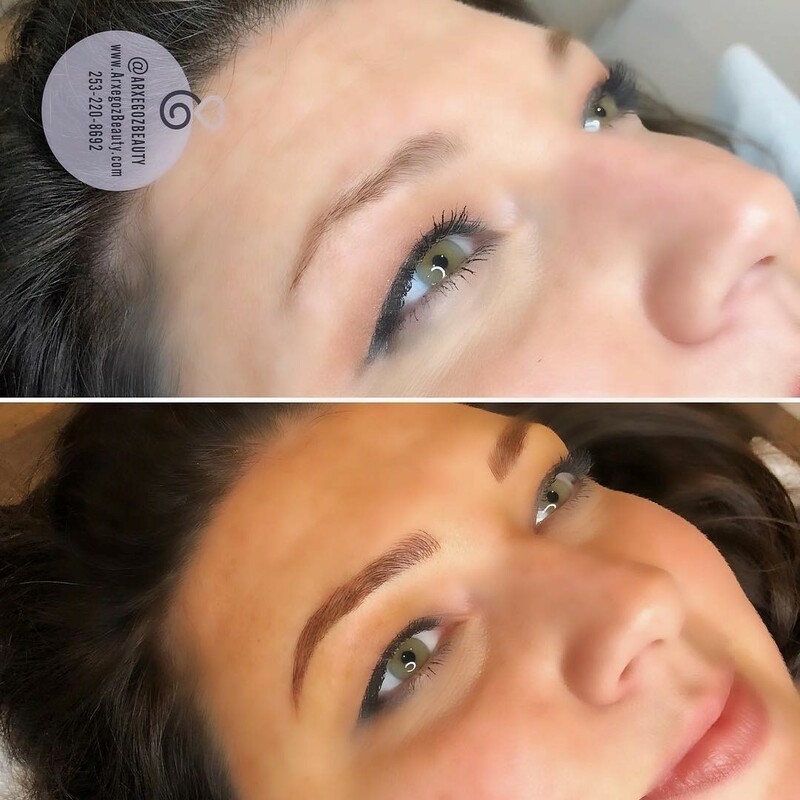 Microblading Services are designed to give guests the brows of their dreams. 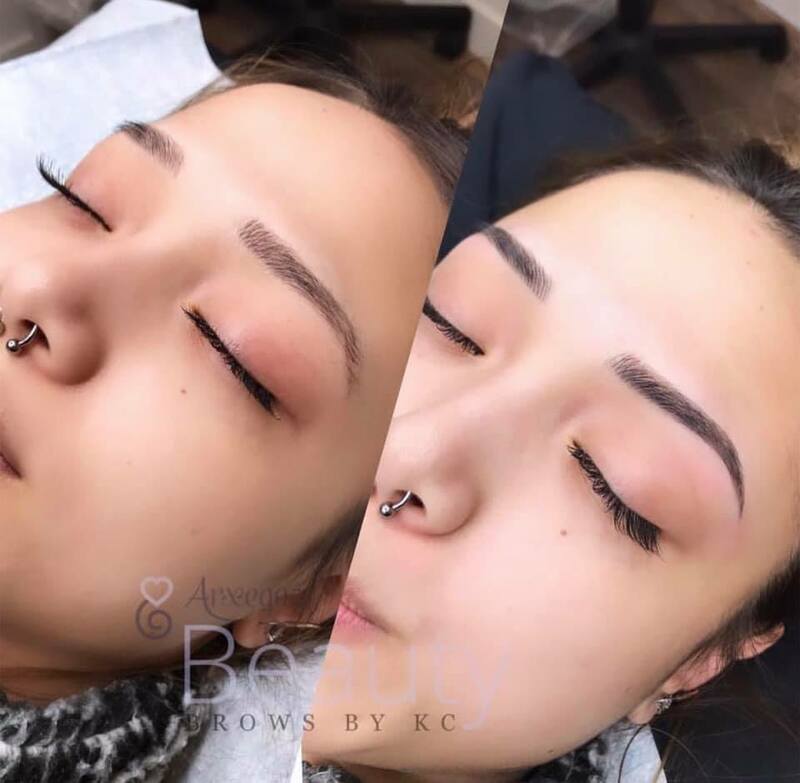 It’s the modern day brow tattoo, where fine and thin hair strokes are created across the brow bone to frame the eyes unique to each individual. 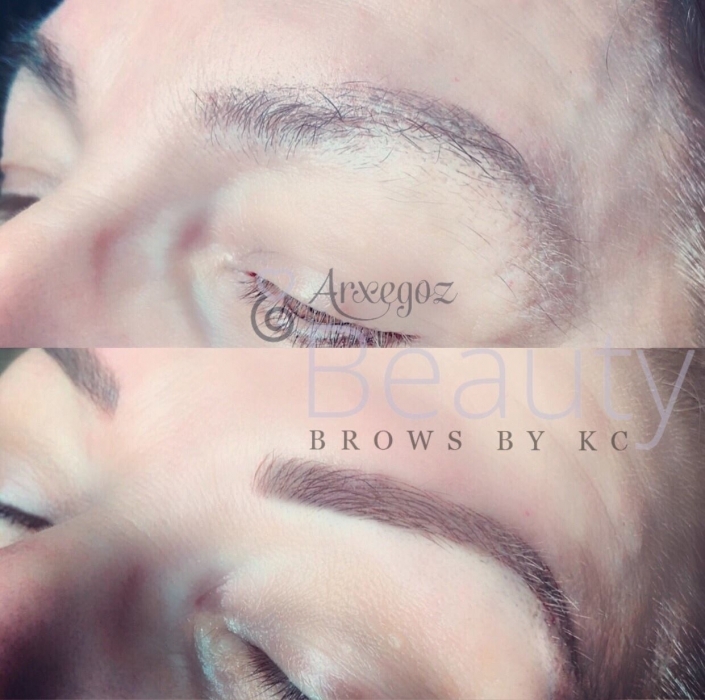 Guests can come in for a consultation with one of Arxegoz Beauty’s Microblading Artists. 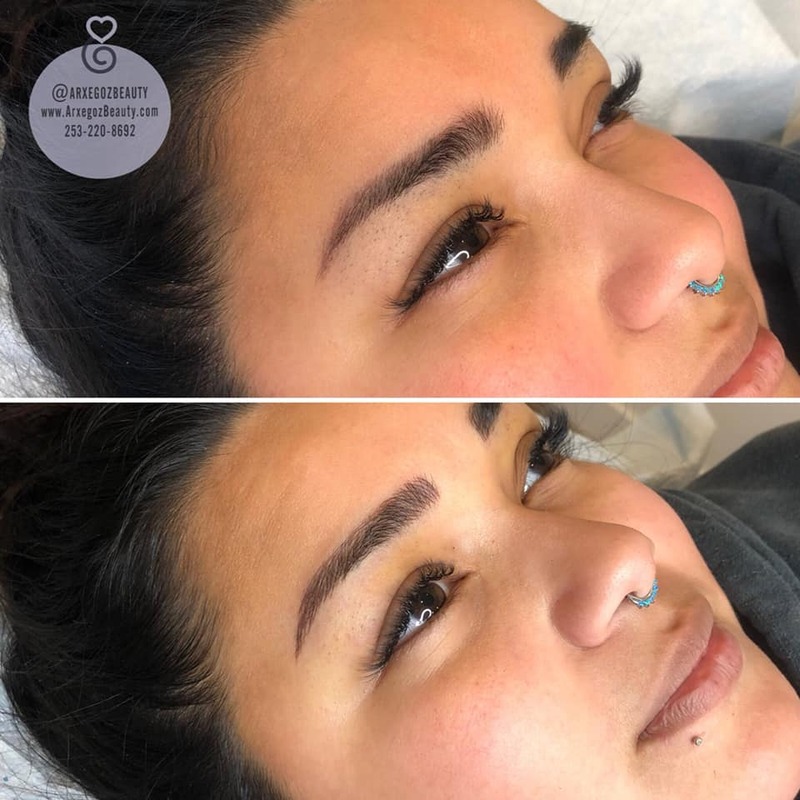 Microblading includes one appointment for mapping and running a first pass, and a follow up appointment that includes defining and shading for clients. This is a service for anyone looking to save time in their morning routine from creating a perfect brow. 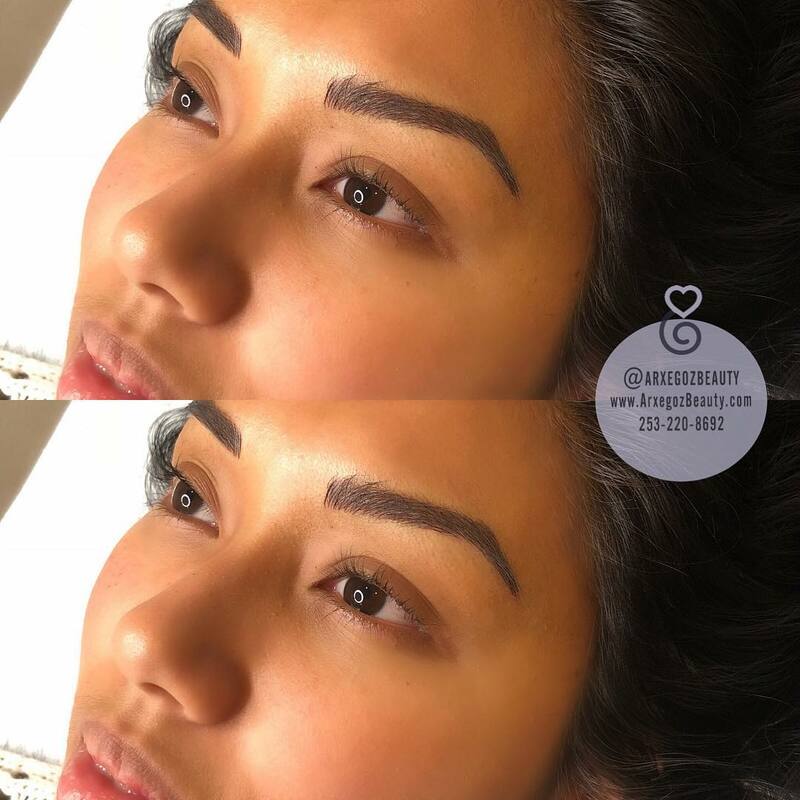 Our Microblading Artists can help you get there with this semi-permanent service. Henna Brows. Henna brows are a great choice for guests wanting a defined brow, but are not quite set on Microblading. The use of natural pigments give a temporary defined and shaped brow for each guests. Henna Brows tint both the skin and brow hair. It lasts about 5-7 days on the skin and up to 4-6 weeks on brow. 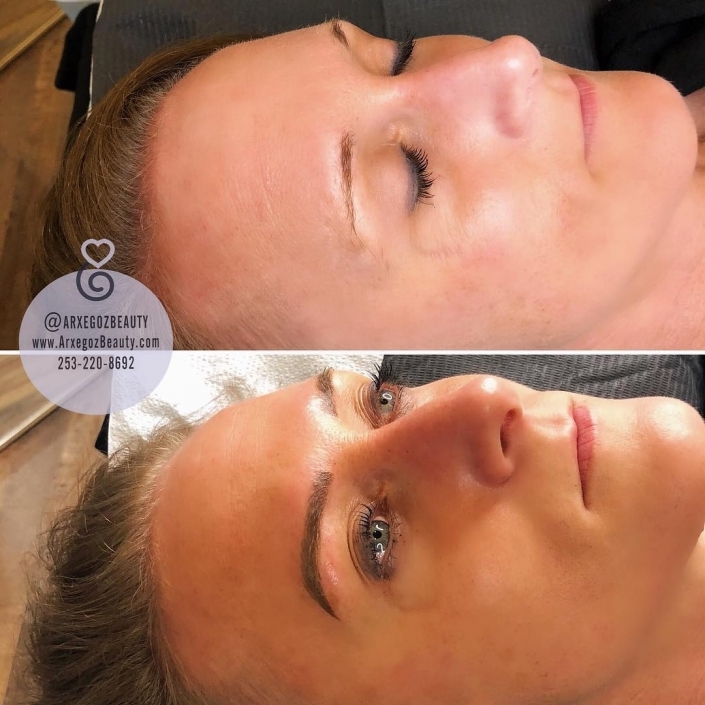 Guests will have similar brow mapping as Microblading when they receive Henna Brows. 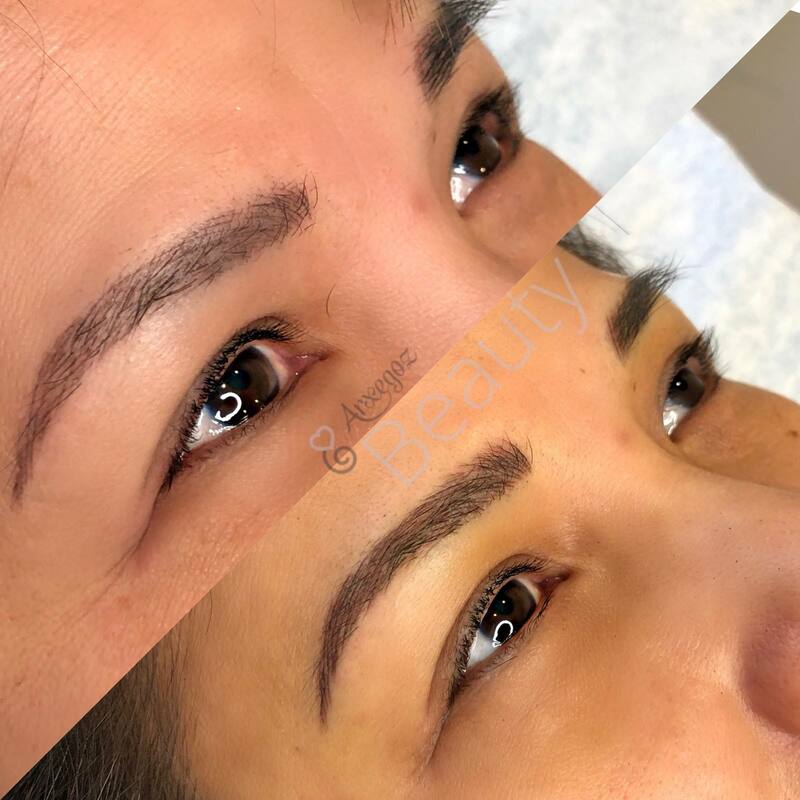 Brow Correction: If you’re a guest of another studio looking to correct the color or brow from a previous brow tattoo or microbladed brows, our Artists are available to meet with you to discuss color and brow correction. 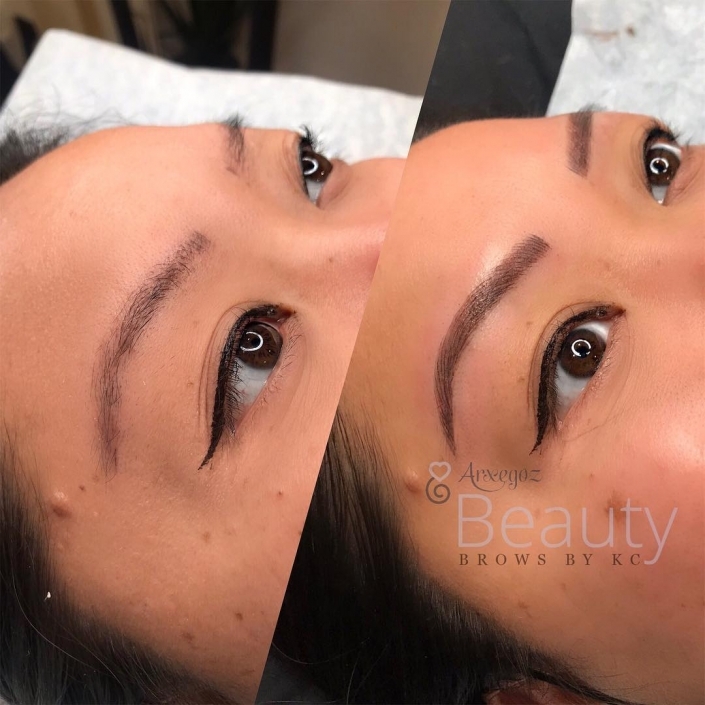 Book a consultation appointment to meet with an experienced brow artist who will pre-map your brows for microblading, educate you about the process and – when you’re ready – book an appointment for microblading. Guests can choose to have Henna brows as an additional service during the consultation. We’ll review your paperwork and the plan we made together at your consultation. 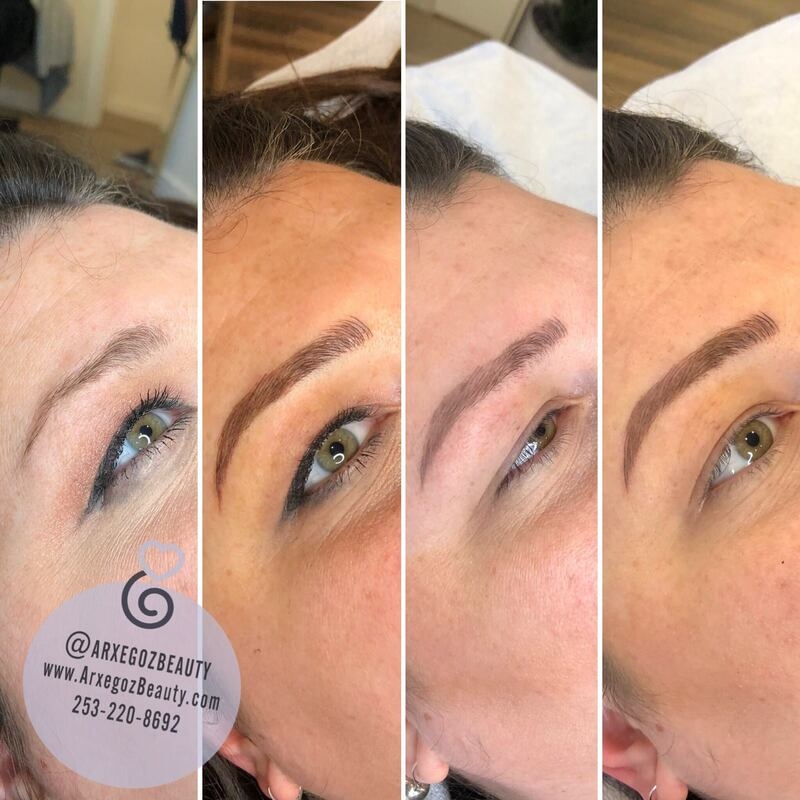 If you’re ready to move forward, we will prep your brows, choose a pigment, take photographs, map your brows and complete your procedure or service (henna or microblading). 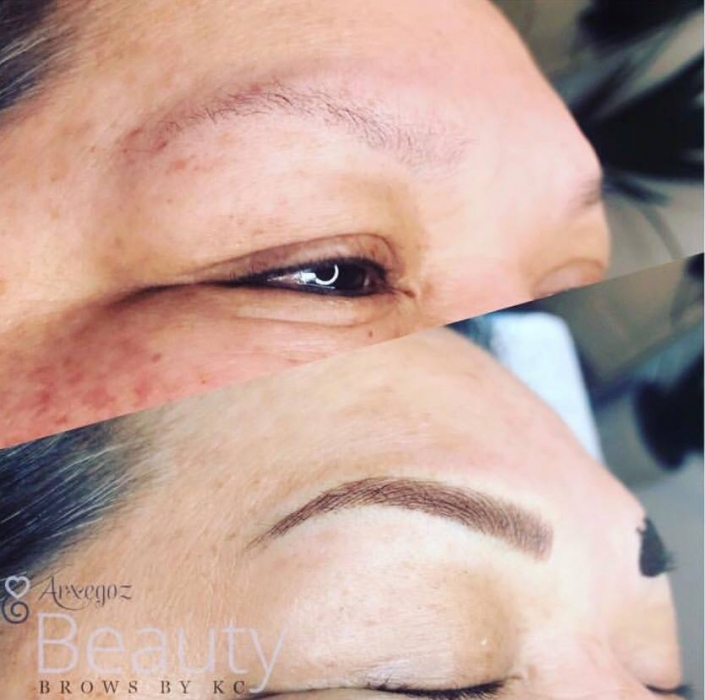 Required for all microblading services; applied to service charge at appointment; non-refundable. Required for all henna brow services; applied to service charge at appointment; non-refundable. 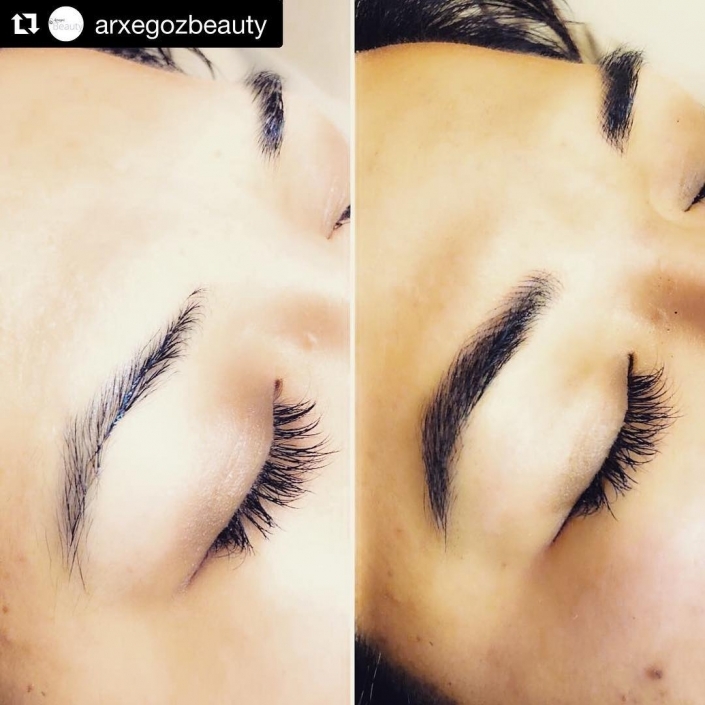 Regardless of whether you choose Arxegoz Beauty for microblading services, we encourage you to thoroughly research your options, take your time and remember that you’ll be living with the results for a while – don’t settle for less! *Consultation will determine whether brow correction is appropriate, then refer to an artist for service.